Enhancing treatment for grey and white hair. Shine and anti-yellow effect neutralising colour cream. Environmental factors such as the sun, heat and smoke can cause normal grey and white hair to turn brassy and start to look dull. 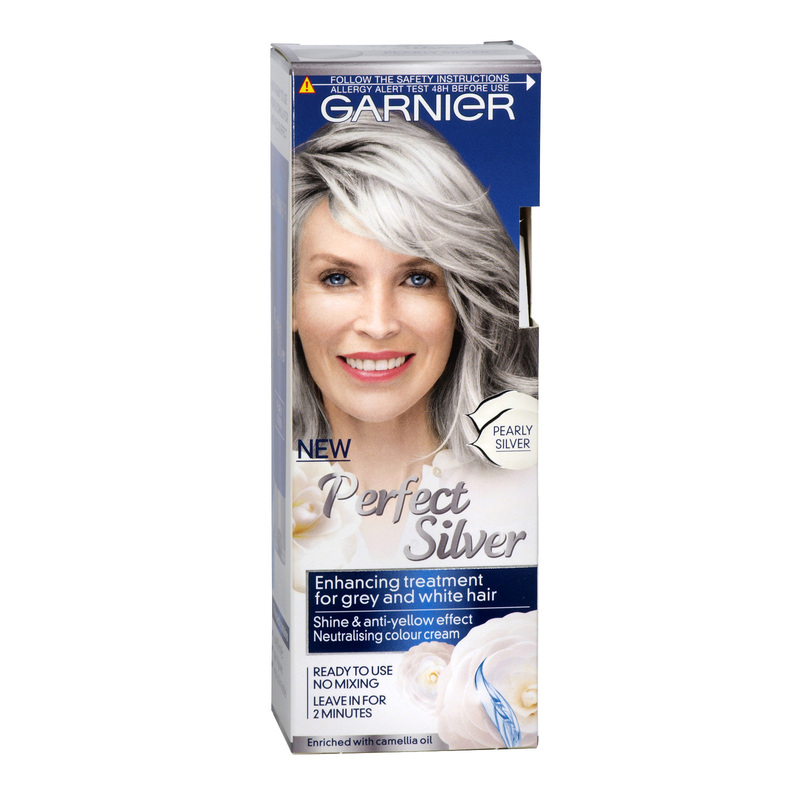 Garnier Perfect Silver is an enhancing treatment for grey and white hair that neutralises undesired yellow tones, and gently illuminates white and grey hair for a natural looking elegant result.